WASHINGTON – Global warming will fuel the overgrowth of harmful algal blooms in lakes and reservoirs, affecting the Northeast and Southeast most significantly, according to a new study. Using a detailed modeling framework, Steven Chapra, a Tufts University environmental engineering professor and the lead author of the study, said he and his team predicted that the Northeast would sustain the greatest increase in harmful algal blooms and recreational regions in the Southeast would suffer the biggest economic consequences. The study was published in the August issue of Environmental Science & Technology. Warm waters and increased nutrients allow cyanobacterial harmful algal blooms, which occur in freshwater bodies and estuaries, to thrive. When temperatures increase, precipitation patterns change and storms become more extreme, Chapra explained. Increased precipitation leads to more erosion and more nutrients in freshwater bodies, particularly in rural regions, he said. 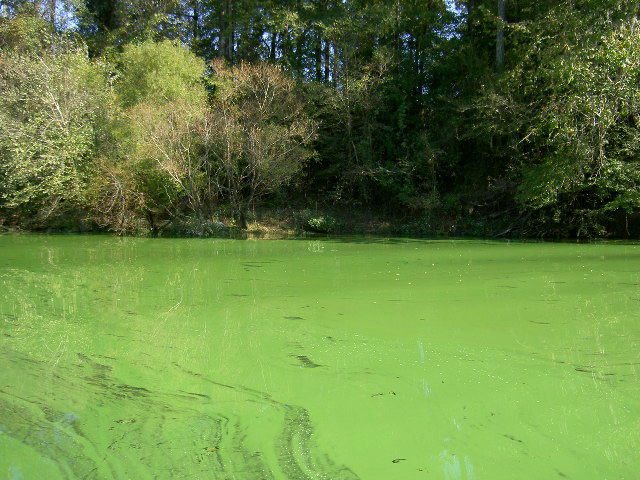 According to the Environmental Protection Agency, exposure to harmful algal blooms can cause health problems ranging from vomiting to pneumonia. In 2014, residents of Toledo, Ohio were banned from using tap water as a result of toxins produced by harmful algal blooms. “The most dangerous impact of these cyanobacteria is when they become toxic and pose significant health risks to both drinking water supplies and recreational use of the water,” said Don Scavia, professor of civil and environmental engineering, at the University of Michigan. Since the freshwater systems in the Northeast region have historically been cooler, climate change will cause the region to have the greatest increase in harmful algal blooms. But in the Southeast, more people rely on freshwater systems for commercial and recreational purposes, including fishing, hunting and swimming, Chapra said. The study estimates that between $57 and $110 million may be lost annually in the Southeast by 2090 due to the loss of recreation days alone. “Some of the biggest CyanoHAB impacts will occur in more rural regions, such as those in the Southeast and Midwest – areas that don’t often come up in conversation about unavoidable effects of climate change,” he said in a news release. Homeowners with property on water are likely to see decreases in the value of their homes if the waters are crowded with “unsightly” blooms, Chapra said. And because fish can’t eat the blooms, they end up on the shoreline, affecting air quality because of their sulfuric smell. In studying the economic impact of the blooms, he and his team only looked at the number of recreation days lost due to harmful algal blooms. Although drinking water impacts were excluded from the study, the authors noted that those are likely to be important, particularly for regions without advanced water treatment systems. Tim Davis, associate professor of biological sciences at Bowling Green State University, said that although the study focuses on the U.S., harmful algal blooms have the potential to damage water supply all around the globe. He cited a 2007 crisis in Wuxi, China, when millions of residents were unable to access clean water for a week.